Nelson and the Tasman region have more sunlight hours than any other region in New Zealand. So why not harness the energy of the sun and contact NZ Solar to discuss the best solar hot water heating system for your property and family size. 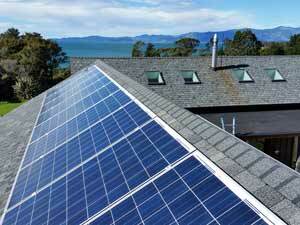 Whether you're in Golden Bay, Motueka, Mapua, Richmond, Stoke or Nelson, give us a call for all your solar products.